Waiting on Wednesday is a meme hosted by Jill at Breaking The Spine that Spotlights upcoming releases that we are excited for. I love the other books in this series, I can’t wait to see how it ends! I’m gonna miss the characters and the story, but I’m still really excited. I definitely want to know more about Winter and Jacin. This is one of my most anticipated releases of the year, I hope it lives up to my expectations. Are you excited for this book? What are you Waiting on Wednesday? Let me your link, so I can visit and comment back! Next ›Life Update: I’M BACK! I'm so excited! I've pre-ordered this but I am actually going away the day before this is due to arrive so I won't be able to read it for a week! How terrible is that timing?? THIS BOOK HAS BEEN MAKING ITS ROUNDS! This sure is a popular book. I cannot wait for this book, should get in my postbox in a few days hopefully. But the length…I am a little bit worried about it. I haven't read any of these but I keep seeing them all the time! I have an issue with new books that have a twist on old stories for some reason but I do know that I need to give things a try, especially when they're constantly hyped! 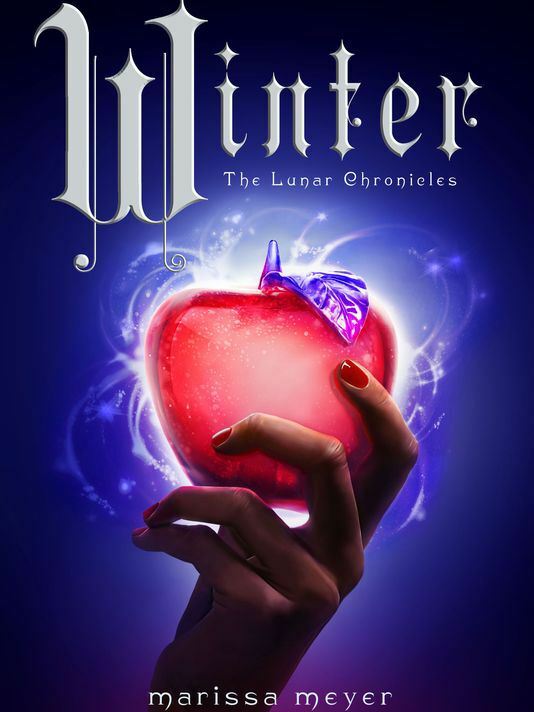 You know, I stopped reading this one after Cinder – I liked Cinder, but I couldn't stand the idea of waiting for at least three (in the end, four) more years before the series ended. So I waited. 😀 I hope you enjoy this book when you read it!